Poorly managed conflicts generate a breakdown in trust. With a basic understanding of what caused a conflict and designing good conflict management measures, mediators can effectively deal with conflicts before they escalate beyond repairs. When solving a complex conflict like the Dagbon case, both sides are made to give up elements of their positions in order to establish an acceptable, if not agreeable, solution. The two gates, the Abudu and Adani hold approximately equivalent which made the application of the compromising strategy necessary. Identifying the source of the conflict and getting more information about the cause of the conflict, can help you resolve the conflict. Government, via the Committee of Eminent Chiefs needed to give both parties (Abudus and Adanis) the chance to share their sides of the story. It gave the committee a better understanding of the situation and demonstrated their impartiality. The team looked beyond the incident but also the perspective on the situation that caused anger to fester. The committee then identified solutions both disputants can support. They pointed out the merits of various ideas and suggestions, not only from the gates perspective, but in terms of the benefits to the Dagbon people and Ghanaians in general. Governments (Kufour. Mills and Mahama govts) via the Otumfuo committee of eminent chiefs, needed to get the two gates to shake hands and agree to the road map. The Kufour, Mills and Mahama administrations ensured these steps were carefully followed culminating in what we witnessed yesterday. Former President Mahama was eskined Zoo Malgu Naa translated as General Chief Mediator or Facilitator of Negotiation because of his personal intervention and the support. He handed a peaceful Dragon to his successor Nana Akufo Addo which made the installation possible. 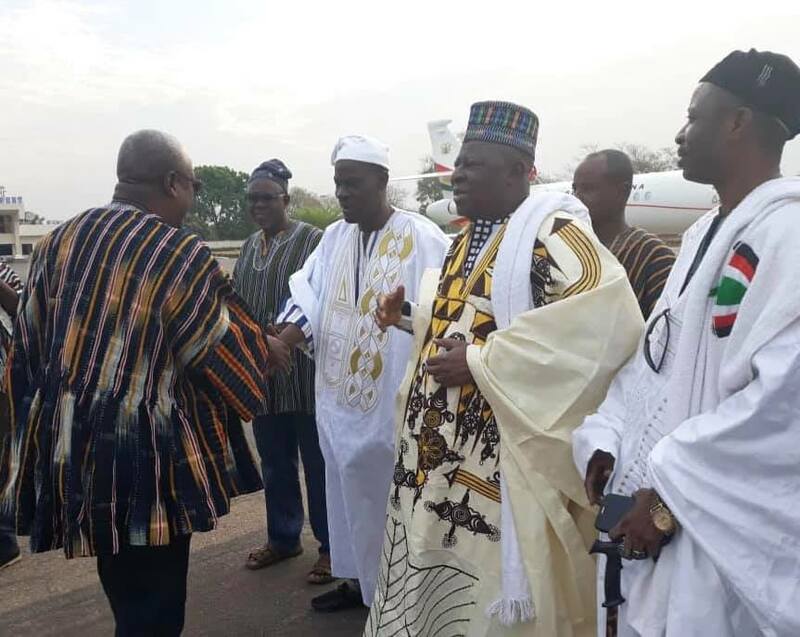 President Mahama’s contribution towards Dagbon’s conflict resolution is monumental. When the Mills’ administration took over, he [John Mahama] informed Otumfuo of his government’s decision to support the committee to resume sitting and continue with the peace. As President of the Republic, he ensured that the committee carried out its work devoid of unnecessary interruption and avoided unnecessary partisan injections. As President and chief mediator, he listened actively to both sides and the mediators aware of every verbal nuance. He steered the discussion at the governmental level away from finger pointing, unnecessary glorification and political mischief. Yea, the current President deserve commendation for crossing the line finally but he is the luckiest President as Otumfuo rightly said. His predecessors did all the difficult work culminating in what we enjoying today.